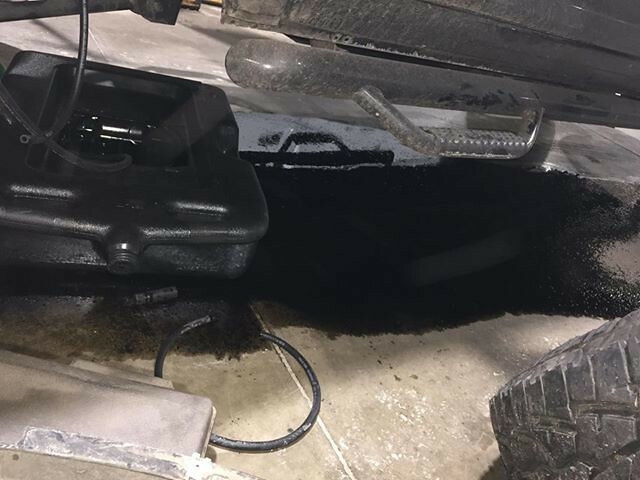 Competition Diesel.Com - Bringing The BEST Together - View Single Post - Oil Cooler Failure? So my buddy picked up the truck after work. Turns out the dealer decided to "try and start the truck up after it'd been sitting for a while." - They had the injectors out and tested them and that wasn't the case (but the valve cover bolts are still dirty like no wrench has ever touched them). - The engine was junk when it rolled in, so putting a hole in the block doesn't really matter. My thoughts are, it was an injector, it filled a cylinder with fuel, they tried cranking on it, bent and then broke a rod, and then sent it through the wall. Oh, and that oil sure doesn't look milky to me! 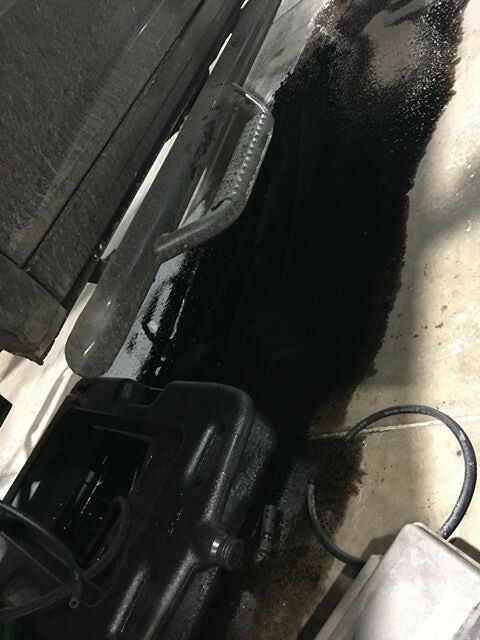 When my buddy questioned that, the 'diesel tech' told him, "Diesel oil is different, it mixes well with coolant." If nothing else, I feel like he's got some good ammo to talk to FCA about it and maybe they'll take care of him.